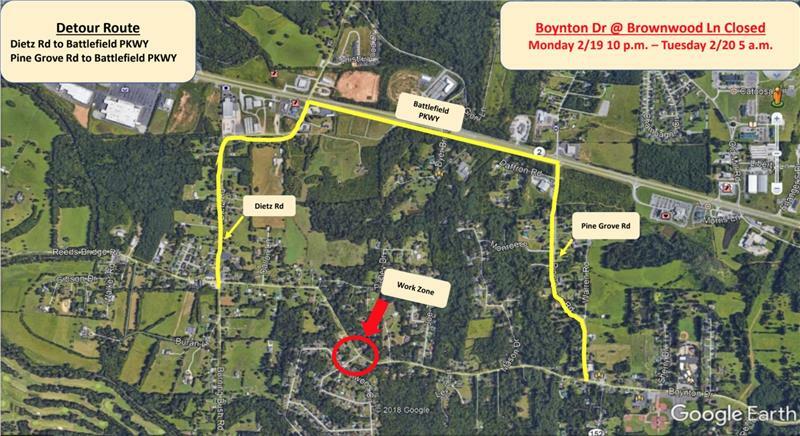 The Catoosa County Public Works Department has scheduled emergency road repair work on Brownwood Lane at Boynton Drive. 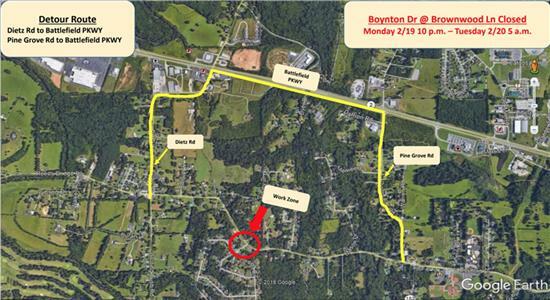 Boynton Drive will be closed to thru traffic, beginning Monday, at 10 p.m. through Tuesday, at 5 a.m., weather permitting. The detour route will be marked.